Kevin and I have always talked about having a goat farm. It has been a dream of mine since I was a kid! We spent a long time researching the products that we could offer and settled on soap because it allowed us to be creative, and have a product that everyone needed and we could offer year round. We started building the farm three years ago (after years of saving and research) and opened the soap company a year and half ago. In the year before opening The Freckled Farm Soap Company we worked on perfecting our soap recipe. 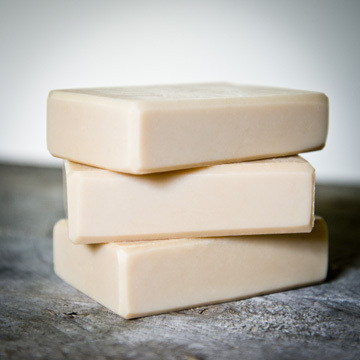 We wanted our soap to have very specific qualities and it required countless test batches and tiny tweaks. We had a list of “soap testers” that would use the soap and give us feedback. We took everything they said to heart and feel like we were able to create a truly unique, high quality product. We actually have two small businesses, the soap company and a photography company. Our time is spent juggling the needs of both businesses while caring for the farm and our children. We are also working hard to make our farm self-sustaining, so we spend a great deal of time working on the farm. When we aren’t “working” we love spending time as a family. We are lucky that the farm allows us to work as a family and spend a lot of time with our children. What items from other vendors do you use in making your products? In the past we have used cucumbers from Bella Grove for our Cucumber Lime soap. This is a seasonal soap that will be back this summer… during cucumber season! 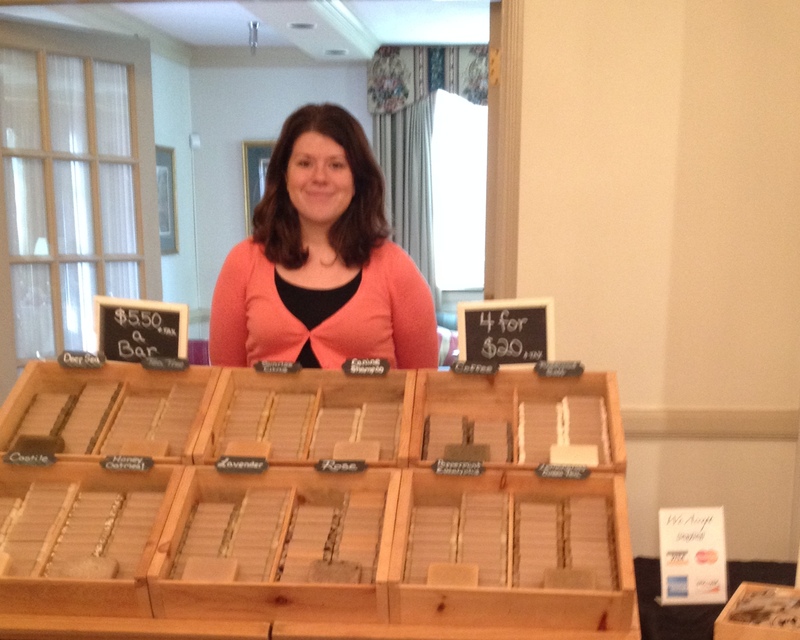 Educating customers about the benefits of natural soaps for their skin. 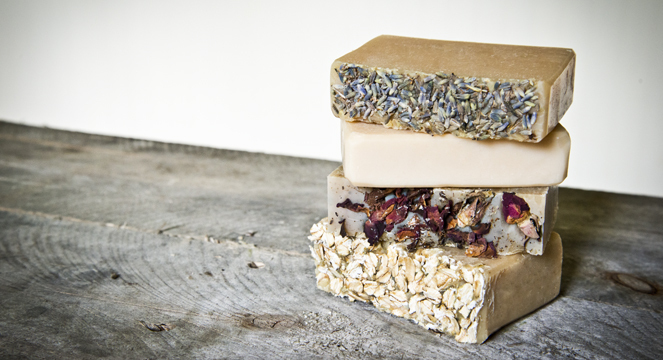 Many of our customers understand the benefits of using natural handmade soaps, but there are people who have a hard time looking past the price tag. If you haven’t experienced the vast difference it can be hard to understand why you would want to spend $5 on a bar of soap when you can get a bar of Irish Spring for a couple of cents. This is why we offer samples at our market booth… because we know you will be hooked after you try it and you will understand the benefits first hand. 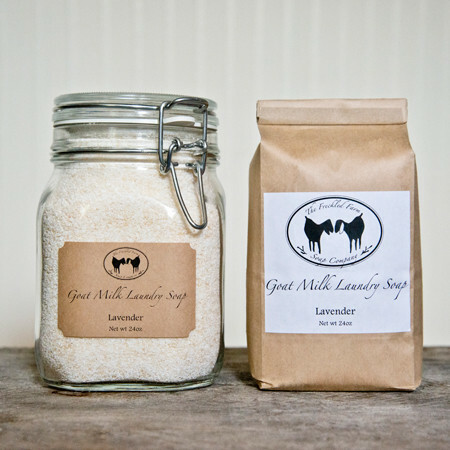 We make our laundry detergent using our own castile goat milk soap, borax, washing soda, and essential oils. It is all natural and works great at getting your clothes clean! We’ve been amazed at what it has done for us and our red clay mud caked farm clothes. You only need a tablespoon for this detergent to work it’s magic. What three words would you use to describe your products? Natural, moisturizing and luxurious. Stop by and try these great products at the South of the James Market on Saturday, 9 – 12 pm.